Speaking to The Wilmington Star-News in 2012, Orlando Gomez had a simple assessment of his career to that point. By that time, Gomez had stayed young for nearly five decades. Gomez' life in baseball began back in 1964, as an 18-year-old signed as a catcher out of his native Puerto Rico. He went on to play professionally for 13 seasons. He made AAA, but never made the majors. His coaching career started soon after, Gomez serving as a manager in rookie ball in 1977. It's continued ever since. Along the way, he served as a major league coach for three different organizations, then as a bullpen catcher. For 2014, he's back managing in rookie ball, helming the Orioles Gulf Coast League entry. Gomez the player started with the Yankees in the Sarasota Rookie League. He moved to the Reds' system in 1966 and the Athletics for 1967. He then stayed with the Athletics through the end of his playing career in 1976. By 1977, Gomez was managing in the Oakland system at rookie Medicine Hat. He then briefly turned to scouting. It was as a scout for the Rangers that Gomez signed Jose Guzman, according to The Associated Press. Gomez then followed Guzman's progress after his return to managing, becoming like a father figure to Guzman, The AP wrote. In 1991, Gomez as Rangers bullpen coach, he told The AP about encouraging Guzman back after surgery and then being released. "He was disappointed," Gomez told The AP that June. "We talked about it a lot. He grew up in this organization." Gomez also signed Ruben Sierra. 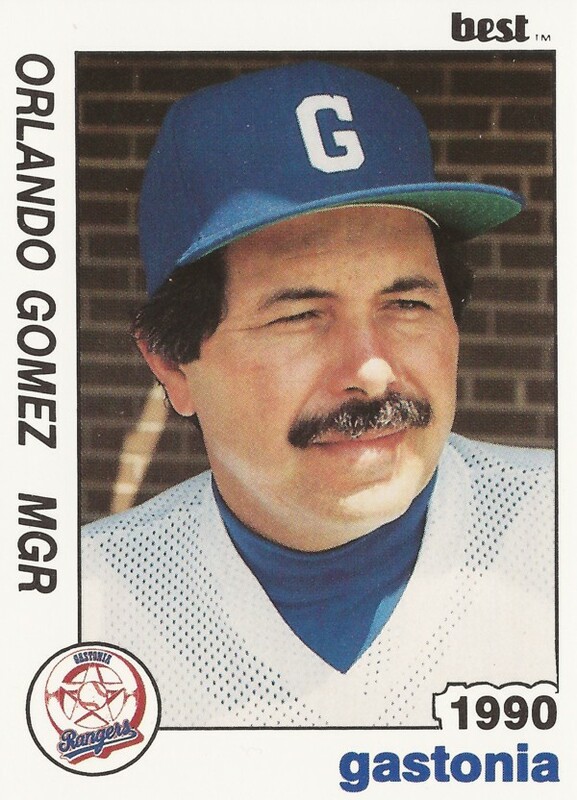 Gomez returned to managing by 1983, taking over single-A Burlington. He moved to AA Tulsa in 1984, then AAA Buffalo in 1987. He arrived at single-A Gastonia in 1988, staying there for three seasons. Gomez finally made the majors in 1991, serving as bench coach for the Rangers. He stayed there for two seasons. By 1993, he was back managing in the minors in the Mariners system. In 1996, Gomez was at AA Port City, watching over a young Raul Ibanez. "I think Raul was born to hit," Gomez told The Star-News that April. "He's going to be a great hitter. He needs to quit fighting himself so much. He wants to be perfect every time." Gomez returned to the majors in 1998, serving as bullpen coach for the Devil Rays. He stayed there for three seasons. He later was bullpen coach for the Mariners for 2003 to 2004. From 2005 to 2007, Gomez served as Orioles bullpen catcher. He has remained with the Orioles system through 2014, managing back in the minors starting in 2008. In 2011, managing high-A Frederick, Gomez spoke to MASNSports.com about his team. "The pitching has been good, but another key is our defense,"Gomez told MASNSports that September. "We've played great defense. We probably have 65 or so fewer errors than last year. We are making some plays where we had trouble with last year. When you make routine plays and do the little things, it can help a lot."